Delhi-based TripShelf Technologies Pvt Ltd, which runs travel marketplace TripShelf, has raised $235,000 (Rs 1.6 crore) in pre-Series A round of funding, according to media reports. The investment was led by GEMS Advisory and venture capital fund Quarizon, as reported by Inc42. Techcircle couldn't immediately contact the company for a comment. The Economic Times on Friday reported that the startup will use the funds for "onboarding more tour operators onto the platform, enhancing technology and digital marketing to enable business conversions from enquiries." Tripshelf allows users to compare prices and packages from various travel operators listed on the platform and then the user can book on the supplier's website. The ET report said that the startup is also planning to launch an app for its customers to access deals from over a 100 travel operators. The report added that the company would use the capital raised to develop a merchant centre for the travel operators on its site. Dhruv Raj Gupta, co-founder and chief executive of TripShelf told Inc42 that, "We have created a platform to aggregate the travel operators both offline and online and thereby provide a better planning experience for our users. We are extremely excited to have GEMS and Quarizon on our board, especially given their experience in the travel domain. We look forward to a strong mentorship from the Quarizon team and as an immediate next step, we would be launching a mobile app for our users." Early this year, TripShelf had raised $250,000 from GEMS group. 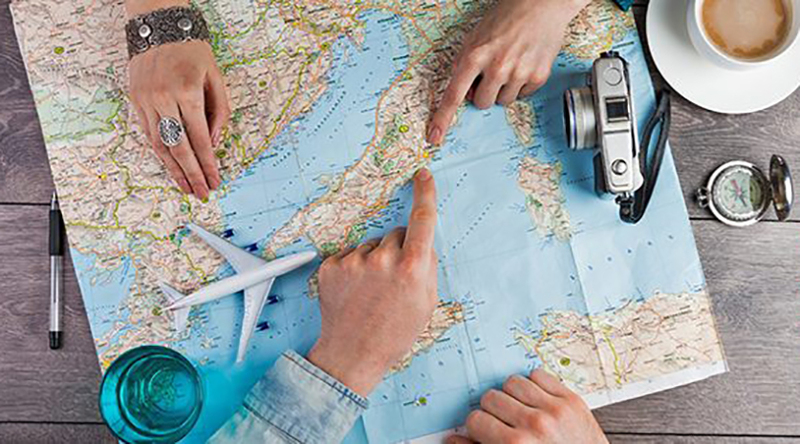 Last year, Noida-based Holiday Triangle Travel Pvt Ltd, which runs an online marketplace for finding travel agents and which allows direct booking of customised holiday packages, raised $8 million in its second round of funding led by Bessemer Venture Partners. Pune-based TripHobo had mobilised $2 million from investors led by Mayfield and Kalaari Capital in March, 2014. The same month, Delhi-based Tripoto secured an undisclosed amount from IDG Ventures India and Outbox Ventures.